When Just Jam, the grime and electronic event was controversially canned by the Barbican after receiving police advice from Metropolitan Police (Form 696, anyone? ), a huge outcry went up on Twitter. Thankfully, Just Jam went ahead and did their thing anyway. On 1 March, the musicians scheduled to play headed to Dontwatchthat.tv studio to livestream the performances that Barbican punters should have seen. 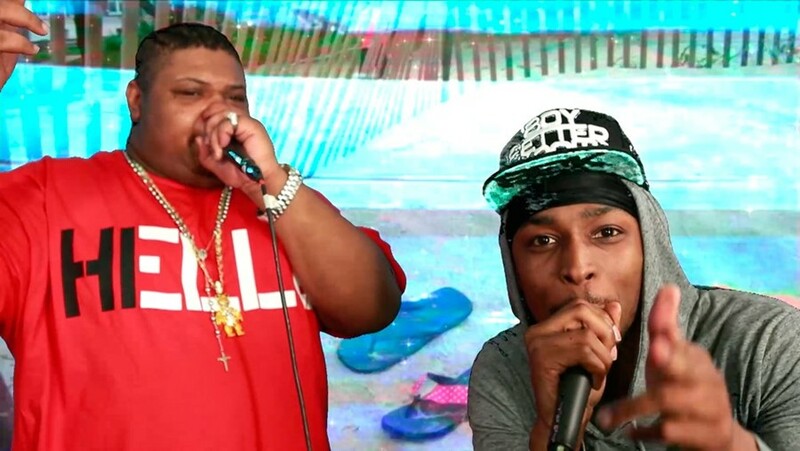 JME and Big Narstie joined Preditah, Omar Souleyman, SOPHIE, Mount Kimbie and other scheduled acts in the studio to perform. Tim & Barry, the organisers of the event, said: "We had four days to organise and execute a different plan to the one we had been working on for nine months... We were hugely disappointed that we were not able to fulfil our creative vision at the Barbican. However, thanks to the artists and the Just Jam team we were able to put on this version of the show." You can watch the performances from Mount Kimbie, JME and Big Narstie with Preditah, Loefah & Chunky performances here. Check out the rest on the Just Jam YouTube playlist. Happy Friday.